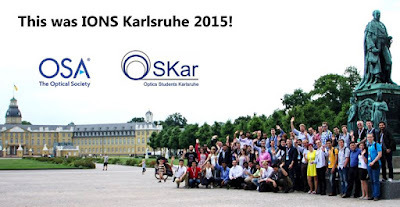 In the end of this June UL SPIE Chapter’s members Marta and Ilze went to beautiful Karlsruhe, Germany, to participate in the OSA organized IONS Ka conference. It all started on the 25th of June - right after the Midsummer’s eve and continued with german traditional Stammtich where all the participants got to know each other. Side note - I don’t think I have to give much background to what I will be writing about. If you clicked the link with its distinct title, you probably already know. Usually we write this blog in third person, mostly because it's administered by a handful of us and we like to try and keep things serious and sciency, but for the purposes of this post, I will just write it as “me”. ITMO University Student chapter invites you to participate in the Photonics and Optical Information Technologies School the frame of IX International Conference of Young Scientists and Specialists “Optics 2015” on October 12-16, 2015, Saint Petersburg, Russia. 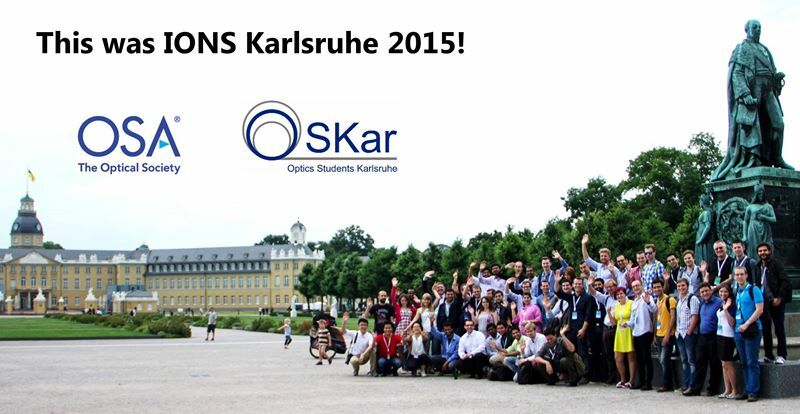 You are proposed to participate in the school and conference and celebrate with us the IYL 2015 together!